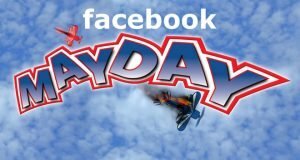 This post started out as a tribute to May Day – searching for creative ways labor unions and anti-union supporters were using Facebook. I recently read an article about how Facebook could potentially REPLACE labor unions and excitedly went to work looking for well-organized, active pages. What I found instead was a handful of pages that seemed to have little in the way of followers and even less interaction. So, I decided to search for politicians and political groups that DO have a following on Facebook. Let’s take a look at the top US politicians on Facebook and what we can learn from their pages. If there ARE active labor union themed pages out there, they are hidden deep within Facebook’s inept search function. I was able to find this page: Union Labor Works — one of the few union pages I could find with more than 10 fans. The page had only one wall post and 233 Likes. There were no custom tabs and I could find very little information about the organization. No photos, no videos, nada. There WERE active groups and events surrounding union topics and perhaps these Facebook tools work better to provide an on-line rallying cry. Facebook pages ARE a great way to communicate a personalized message to thousands, if not millions, of voters. Politicians have been effectively using the platform for years and some attribute Obama’s win in 2008 to his effective social media efforts. I wanted to take a fresh look at how today’s politicians were leveraging the platform. Among Facebook’s top political pages are some key insights that business owners and marketers can apply to their own campaigns and Facebook communities. Below I have provided an ‘at-a-glance chart’ of some of Facebook’s top politicians with more comprehensive page details and screenshots below. The first item catching my eye on the President’s page was a message from Barack himself offering condolences to those who lost family members due to the tornadoes that swept across the Southern US. The update was posted about 20 minutes prior to my visiting the page and it made me feel the closest I have ever felt to a US president. There was no pomp and circumstance, no press corps, no teleprompter. To all appearances, it simply reflects the man running our country updating his Facebook page with a heartfelt message directly to me. Of course I knew the President had a Facebook page, but it took visiting the page to be truly struck by how accessible the world is becoming due to platforms like Facebook. Other page features included an ‘Are You In?’ tab that housed a 2012 graphic and a button. 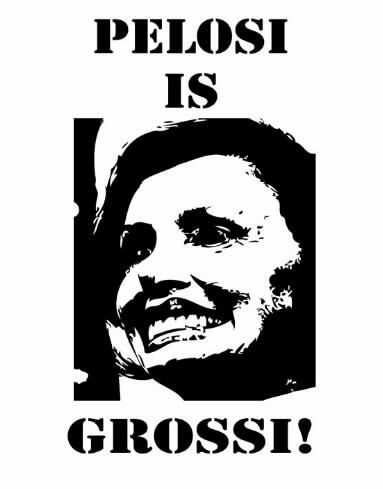 I was worried the button would take me away from Facebook but instead it simply updated the graphic within the iFrame and asked that I spread the 2012 message to my friends. The clever application populated my friends that had already joined the movement and offered up an invite to those who hadn’t. It also tracked how many friends I had ‘inspired’ to join the movement. Brilliant. There was also a store tab that took the user off Facebook in order to buy 2012 campaign gear. It appeared to be an outdated FBML tab. My only complaint: it would have been cool to find some Facebook commerce embedded on the page. The custom tabs include a call-out to donate but I was disappointed that I had to link-out to take action. The tab appeared to be an FBML tab that housed a simple hot-spotted graphic. Argh. The ‘YouTube Box’ tab didn’t appear to work in the latest version of Firefox so I quickly jumped into IE and it wasn’t working there either. The Photos tab had a handful of images of Sarah looking her best 7 months ago. I’m guessing fans aren’t permitted to upload photos. Sarah’s updates on her wall are brief soundbites presumably written by her – in her unique voice. Most of them are inspirational snippets that appeal to her conservative base of supporters. Every official post elicits thousands of comments from her 2 million plus group of Facebook fans. Nice job Sarah! This strategy works for a celebrity, but I wouldn’t recommend it for the owner of a local coffee shop. If you aren’t lucky enough to have celebrity status, then creating these types of rhetorical status updates may not be as successful at garnering community participation. JACKPOT!!! This is exactly what I was looking for when I started researching this post. 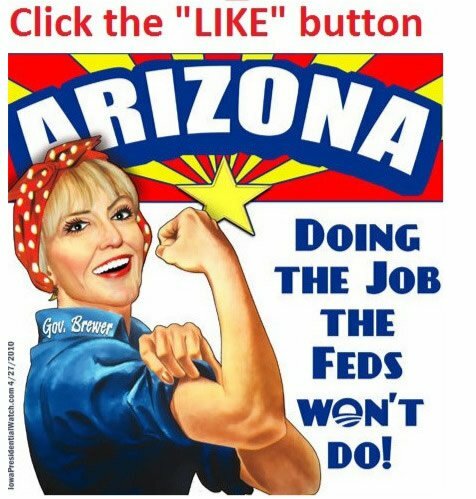 Jan Brewer’s page has been touted as one of the fastest growing political pages on Facebook. So the question is WHY? The landing tab has an ‘in your face’ request to click the LIKE button coupled with an AWESOME graphic of Brewer posing as ‘Rosie the Riveter’. I literally ‘LOLed when I first saw it, as it succeeds at capturing her likeness a little TOO well. The wall contains almost daily updates by the Governor, giving fans an insider’s view of her battle with the federal government. According to her page, ‘the Feds,’ as she calls them, are planning to sue Arizona and she has made them enemy number one. Customized tabs include a Secure Our Border Petition – a simple call to action that displays how many signatures have been gathered so far. I’m surprised this is the first time I have seen a petition on a Facebook tab during my research for this article. There’s also an FBML tab simply labeled ‘Jan Brewer’ that allows supporters to send birthday wishes to the Governor, although her birthday isn’t until September. Huh. One can only assume this is a holdover from last year. The application asks for the users name, email and a 140 character message. No info on what they plan on using the email address for or why it has to only be 140 characters. Are they posting the messages to Twitter? Once the form is completed, it display a card graphic with the customized message. Jan has also used her page ‘likes’ column wisely, featuring other relevant pages – including Proud to be an American, National Rifle Association, Being Conservative and Nevada Against Illegal Immigration. OK – quick disclaimer. I worked on Jerry Brown’s presidential primary campaign in college. Back then he was WAY ahead of the game in terms of using technology to help the cause. So I had high expectations for his Facebook page. His page offered up a non-liker landing tab that had a strong call to action – “Click Like above to join Jerry Brown and get California working again!” The landing tab also featured a ‘feel-good’ video that did an excellent job of showing what the California Governor is all about. Old footage of him flying coach, discussing how he sold the $1.5 million dollar Governor’s mansion and driving a powder blue 74′ Plymouth. The wall was one of the few that actually allowed updates from fans reinforcing that Jerry Brown is still a man of the people, allowing everyone a voice. Other tabs included an FBML tab entitled ‘Solutions’ – attempting to clearly outline his policies and actions to get the state back on track. The Photos tab featured a shot of him as a boy and other personal shots of him throughout the years. It was great to see something OTHER than the standard PR shots. I would have liked to see creative use of the wall photostrip. Otherwise – GREAT JOB JERRY! To bring economic woe to companies that support Scott Walker, and therefore his anti-worker, anti-education and anti-progress politics. The Photos tab included a graphic, once again spelling out the page’s main call to action and some photoshopped images of the Governor himself. On the opposite side of this political fence, we have the Scott Walker for Governor of Wisconsin page. The landing tab asks visitors to join the ‘brown bag movement’ and includes a brief form. Maria Olson: people are so rude omg so like i think that scott walker is all like doing the right thing and stuff so get over it people are just acting all stupid and shiyt so dont call me a retard jeesh im 13 and im in honors ! Other tabs included Flickr with images from the ‘Brown Bag Bus Tour,’ YouTube tab featuring Scott Walker TV ads and Ustream; where you can sign up for live webcasts. No landing tab for Ms. Bachmann, but plenty of activity on her wall. The Congresswoman updates the page multiple times per day – as do her fans. The page houses several FBML tabs, including a request to sign her petition telling congress “Don’t Raise the Debt Ceiling.” She’s also asking for phone numbers so she can send text alerts to her supporters. Other tabs include ‘Donate,’ Email Updates and even a ‘Livestream’ tab, where you can presumably watch her live-streaming video channel. There are a grand total of 15 tabs, none of which are particularly well-designed. I would prefer to have 3-5 well-designed tabs that demonstrate a clear call to action. All points of view are welcome on this page but ask that comments be civil. The administrators will delete comments that use profane or offensive language. Thank you for your help in keeping this page an environment for all to participate! No creative use of the photostrip. The wall posts by Pelosi were more thoughtful than most and were quite substantial. She clearly outlines her struggles as the Democratic Leader of the House. She has also ‘liked’ a few other pages that speak to her supporters – ‘Stand Up For Women,’ MomsRising.org and Health Care Reform. Why bother with a BORING page? Use Facebook’s rich-media tools to engage users. Very simple page with NO video tab – go figure. The page simply offered up photos of McCain at various photo ops and brief wall updates from the Senator. The updates were so lackluster that I actually believe they could have been written by the McCain himself. I would have liked to see a bit more information on the page but there wasn’t even an info box below the profile pic. 10. 1,000,000 People that want Nancy Pelosi Out of office! The last official update by the page admin was in July and supporter updates included quips about fraudulent birth certificates, SPAM for ‘nice and cheap clothes’ and, of course, anti-Pelosi rhetoric. No tabs to speak off – Wall, Info, Photos and a discussions tab that was last updated 10 months ago. So what can we learn from these politicians who make it their job to connect with constituents? After reviewing the most active political pages, there are a handful of keen insights that can help refine any campaign. Union organizers attempting to promote the cause via Facebook, these tips are for you. Facebook page update frequency can’t be templated – Each online community is unique and responds differently to the amount of content you send their way. Do some testing around the number of updates each week and the timing of each update. Facebook Insights can help you determine what your fans can tolerate and when they have had enough.